The Stealth Light Cahill is one of the very successful Stealth series of flies. This is an excellent pattern with a reversed hook that allows the fly to sit temptingly on the surface film. Tail : Cream/light ginger hackle fibres. Body : Light Cahill superfine or similar fine dubbing. Wing : Summer duck flank. The Stealth series have the tails tied just onto the bend so they point slightly upwards when the fly is complete. All wings are tied bunch wing style in front of the hackle with a slight rake towards the bend. The hackles on the duns are clipped out fully underneath so that the fly adopts the correct attitude on the water surface. 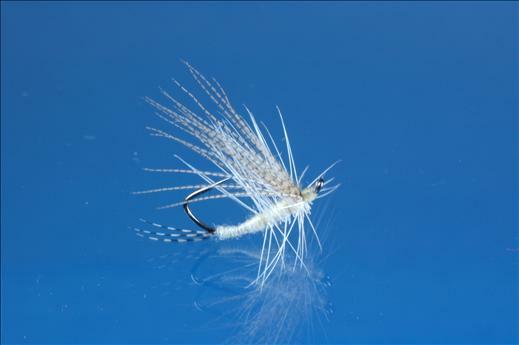 Currently there are no comments about the Stealth Light Cahill fly pattern from other fly fishermen yet.